I started playing Star Wars : The Old Republic in early access end of 2011. I played nonstop until summer 2013. I never got into any MMORPG prior to this, even though I tried WoW. I loved the older Knights of the Old Republic games and am a major Bioware fan, whether Star Wars, Dragon Age or Mass Effect. I picked up SWTOR again in June 2015. I didn’t regret it. I loved the original game (and finished all of eight classes’ basic storyline up to level 50). The first expansion, Rise of the Hutt Cartel was decent and a fun ride but overall I wasn’t overwhelmed with it. So far, I have only finished both expansions with my Jedi Knight (Guardian/Light Side). 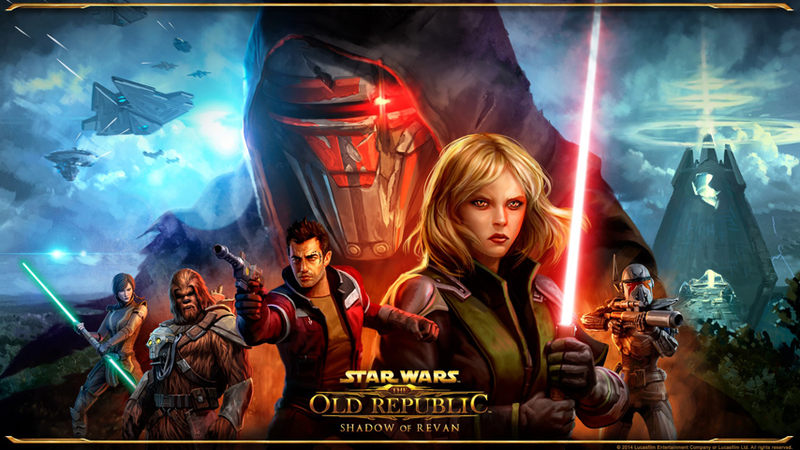 The Shadow of Revan expansion proved to be one of my all time favorite gaming moments. Story, battles, character development made for the right mix. I can’t wait to play it with all my other classes and find out about the Empire side as well as the little differences everyone’s backstory may have on the overall narrative. 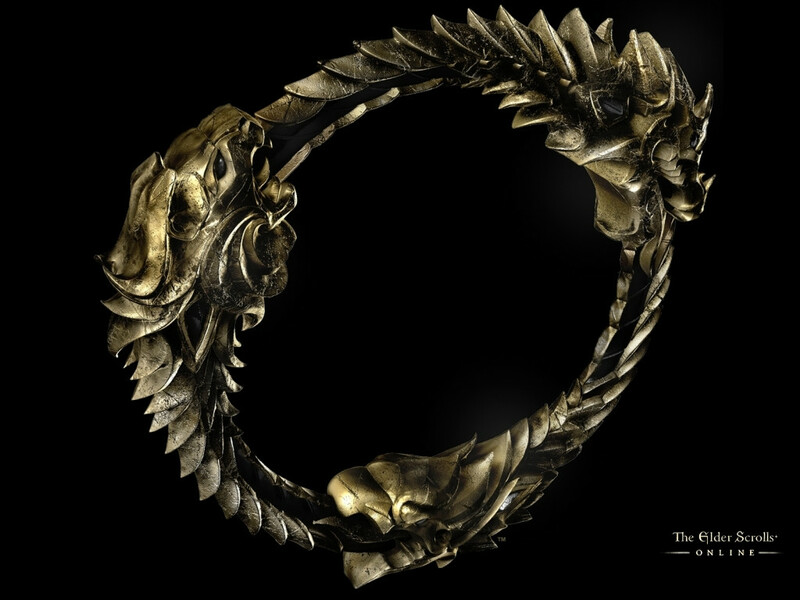 Alright, to be fair, it seems I am entering into this discussion a bit late – the Elder Scrolls Online. I talked about it the other day, but it’s been on my mind more than that. As I imagine many of you do as well, we have a number of friends and family members considering this game. And there are a lot of reasons to. The Elder Scrolls games are known for being open-ended worlds where you explore and do what you want, and go around exploring, adventuring, and generally having fun. However, this has also always been a single-player experience, and your achievements and adventuring aren’t shared (I still remember this Penny Arcade on the subject… no one will ever see his horse). So now that it’s multiplayer, and better an MMO, have they created the perfect MMO? That is everyone’s hopes, I think, attached to this game. And I seem to recall that some of the buggiest and worst times for an MMO are right at the start… and yet, we’re considering a pre-order of this game, to join up with the people we know playing. So I am just going to go through a couple of my thoughts, and then, I really want to hear your thoughts on the Elder Scrolls Online – are you planning to play it? This is a post idea I’ve had for a long time. My initial thought is this: lately I feel like there has been an increasing move towards specialization in characters in role playing games (RPGs). Meaning that before you often had characters who needed to be able to handle a multitude of situations, need to be able to heal and do damage and take a hit – all in one character, or all in each character. However, that has been decreasing of late. Instead, we see the rise of roles like Tanking, Healer, and DPS. You see it in party-based online situations especially, and with the rise of MMORPGs, there’s a lot of this going on online and in big-name games people are putting a lot of time into. However, a further place you see this happening was in Dungeons and Dragons 4th Edition, which was built to in many ways play like an MMO. So I will look a bit at both of those – MMOs and D&D 4th Edition – but what really has me thinking about this is that I now have an even better case study. the Final Fantasy games. In Final Fantasy XIII, they hit the most specialized that they ever have; however, in breaking away from that in Lightning Returns, they are moving back to a place where you have far more control over customizing your character. So have we hit the far extent of the trend? Are we moving back away from specialization? That’s the question I will close with!